When I entered the park today I was greeted by a screeching Squirrel, actually it’s a cat like sound. I don’t remember ever hearing Squirrels in Oregon or Pennsylvania making this noise. They are definitely a vocal group in Hot Springs National Park. On the Tufa Terrace I am treated to the site of a male Cardinal pecking for food. The past couple of weeks the Cardinals had been chasing each other out of Trees. It seemed odd to see one relatively still. The Carriage Road was a delight with blossoms in bushes and Wildflowers along the path. I was surprised to see a Mourning Dove exit a bush, I had never seen one in the lower park areas. 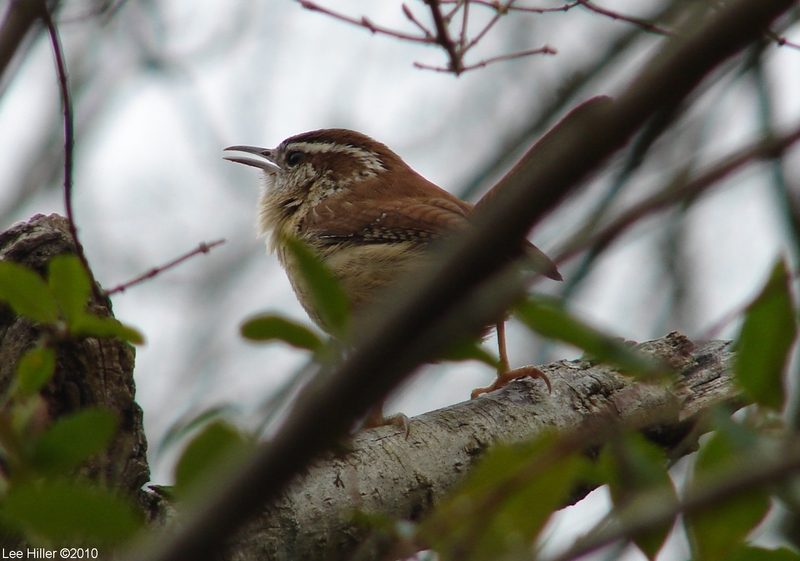 On the Dead Chief Trail a Carolina Wren waited patiently for the sun to crest the trees and then broke out in sweet song to greet the day. The song was spectacular and it was worth waiting to hear it. On the Short Cut Trail I looked over at some leaves and noticed a little face peering out. A lovely little blond Chipmunk was staring at me. After a couple of photos I moved on quickly as I had heard a crow earlier and I did not want it to see the Chipmunk because I was standing there. A bit further up the Trail Nature had hung out another Valentine for me to see. Today the Pagoda had a lovely surprise, a wedding party. Brittany and Jason were having pre wedding photos taken, later today they would be Mr. & Mrs. Anersen. Best wishes for your new life together as husband and wife.. Thank You Jason for your service to our country. The Hot Springs Mountain Trail was so quiet, no birds, no small mammals and no fellow hikers. My hike along the Trail had a meditative quality and before I knew it I was at the Hot Springs Mountain Road. I decided to hike up the Road to the North Mountain Overlook. As I was passing a parking area an SUV pulled up a man got out followed by a large dog, the dog darted out into the road and was nearly hit by a car. Then he bolted down the trail as the owner casually strolled across the street. From the overlook I dropped down to the Upper Dogwood Trail, now that the weather was warm the trail was becoming more active. Small birds were darting about squirrels were chattering, the normally quiet Trail was so full of life. It is so exciting watching the park change each day. From the Upper Dogwood I connected to the Hot Springs Mountain Trail, hiked back up the Mountain and traveled down the Peak Trail to the bottom. On the way down I passed two groups with children and it made me happy to see families out enjoying the park. The next generation of fellow Nature lovers. Thank you again for sharing my adventures. Weekends always show a decline in wildlife populations along the trails. The two main culprits are increased numbers of dogs on the trails and a higher volume of vehicles on the road racing to the top of the mountain. This combination often renders the forest near silent. I will being trying to enter the park much earlier on weekends to avoid both types of traffic. The lower park was quiet so I headed directly to the Carriage Road and was treated to a Robin serenading the first light from the sun. I Love starting my day with a song. As I access the Dead Chief Trail I am told off by a Blue Jay trying to teach two younger birds. The meaning of the stare and squawk are understood and I continued my hike up the trail. At the top I encountered a beautiful little Black-Capped Chickadee flitting through the Trees. They always make me feel happy with their sweet song and lovely little black and white faces. On the short cut trail a jogger whizzes past me head phones on, he is missing the best tunes and scenery on the planet. When I reached the Pagoda a car is sitting doors wide open stereo blaring, a van arrives opened it’s doors providing competing audio blasts. By the time another arrived with it’s own sound preferences I knew it was time for me to move on. I dropped down to the Hot Springs Mountain Trail and photographed a lovely little wildflower and am on my way. The trail is peaceful and I enjoy the sound of the Juncos as they moved from Tree to Tree. At a small flow of water over the rocks I watched as a Dark-Eyed Junco took a sip from the trickling water. Farther along I see a sweet Chipmunk darting through the leaves to reach the cover of a log. So fast I often wonder how I even see them. 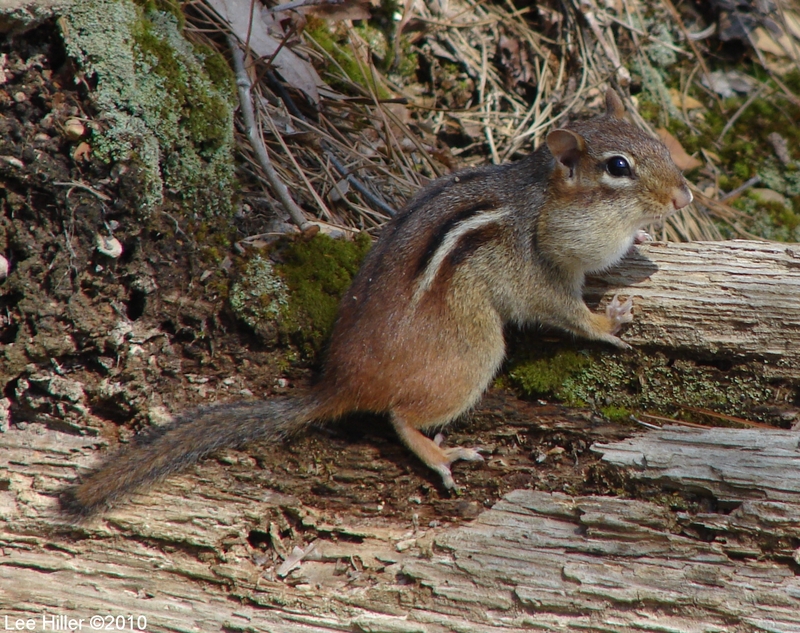 Near the end of the eastern part of the trail loop I catch movement out of the corner of my eye and it’s another Chipmunk. This time they are on a log near the path and they have full cheek pouches. I am very happy to see they are finding plenty of food today. I hike down the Gulpha Gorge Trail to the Goat Rock Trail and part way along a sweet Labradoodle runs up to me, licks my hand and heads back to his owner. The owner immediately attaches a leash not knowing I have already seen his dog off leash. He says the best part of his week is letting his dog run through the park. All I can think of is the fragile little Chipmunks that might not survive being chased by his Dog. As sweet as he is, he is a danger to the small creatures who live in the park. As I near the inclines I spot some lovely wildflowers blooming, a sure sign Spring is on the way. Each little purple flower is like a cheerful face looking up towards the sun. There can be only joy at the sight of Spring’s first flowers. I love the upper part of the Goat Rock Trail, it has not had gravel laid down for many years and my footfall is silent upon the earth and moss. I smile as the forest spirits spin and lift individual leaves on swirling breezes as I move softly through the Trees. Back on the crunchy gravel Hot Springs Mountain Trail then on to the Honeysuckle Trail where I hear a familiar and favorite voice in the forest. The voice belongs to a tiny Black-Throated Green Warbler flying in and out of a Short Leaf Pine Tree. So fast I am barely able to keep an eye on her. From the Honeysuckle I connect with the Peak Trail and I am blessed to see a gorgeous Female Red-Bellied Woodpecker. Her movements on and over the branches is a ballet in the sky and reminds me of circ du solei. 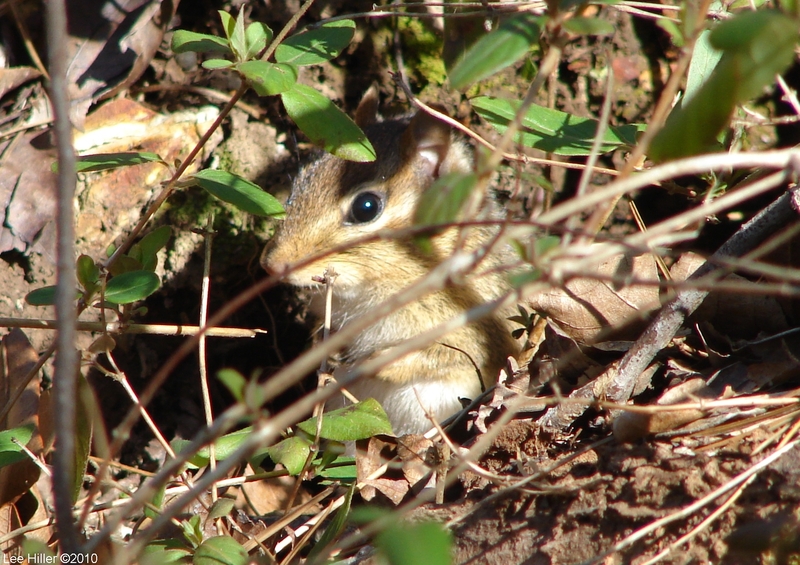 As I walk down the second to last incline I glance to my right and in the bushes I see another little Chipmunk. It is frozen watching a bird tossing leaves under the bush next to them. It appears I am the least of their worries and I am glad they are well hidden form the crows above. Another beautiful day living in paradise, and it ends with a spectacular Moonrise from behind Hot Springs Mountain. I had never seen a Moon Display so amazing. It was a sunny, cloudy and everything in-between kind of day, perfect for hiking. Stopped by the Turkey Vulture Nesting area and received a friendly fly over. Once the foliage reappears they will have much more privacy and unless a person knows the exact location they will likely go unnoticed. The Tufa Terrace was a squirrel commuter zone, they all seemed to be on the same mission, food. Hiding in Trees, running up Rocks and leaping through the air it was a wonderful sight. When I reached the Carriage Road the Robins were in full voice as a Cedar Waxwing made an appearance. Every time I see this mixed flock of Robins and Cedar Waxwings I wonder how the two groups became a single team. Up the Short Cut Trail to the Top of Hot Springs Mountain where I am greeted by a sweet White-Throated Sparrow. It’s markings confused me at first as it has gray where I usually see white on the top of the head. There is however no mistaking the definite white on the throat. At the Pagoda a gang of three Blue Jays sat in the tallest tree and squawked a warning to every bird that landed. The only one they could not scare off was my friend a Northern Mockingbird. Even when one Blue Jay landed in the same bush they did not budge. When the Blue Jays get together they can be slightly annoying. Along the Hot Springs Mountain Trail I got a lovely shot of an Ovenbird. They have beautiful markings on the chest and a defining white ring around the eyes. Continuing on the trail I see the sad sight of the ever present Rent-A-Center helium balloons blowing in the the breeze. Who knows how long they will polluting the park. As I photographed the balloons I heard a familiar bird call followed by a tapping sound. I looked up to see a wonderful Red-Bellied Woodpecker looking for a meal in the highest branches of a near-by Tree. A bit further up the trail I can see lovely Dark-Eyed Juncos flying in and out of the now bare vines. Their rapid maneuvers at high speed are always a delight to watch. On the West side of the mountain and I look up in time to catch another fly over by a Turkey Vulture. They are so graceful soaring above the Trees riding a beautiful breeze. The Honeysuckle Trail is quiet as I pick my way through the loose rock sections of the path. Trying to find solid footing is often useless and it’s better to go with the flow and skate down the slopes. Passing the Fountain street exit I head back up the mountain and pass my favorite rock in the Trails, it reminds me of a Sea Serpent rising out of the ocean. I take the Honeysuckle to the Peak Trail, cut over to the Tufa and back out the Park entrance. As I head down the ramp that lead out of the Park a beautiful Carolina Wren begins to sing about the suddenly changing weather in the Park. It’s persistence to relay the message is exuberant and continuous for several minutes. It is a wonderful moment to finish my visit to the park. Open your heart to Nature and she will show you many wondrous secrets. I am starting today’s post not from the beginning as I would do normally. 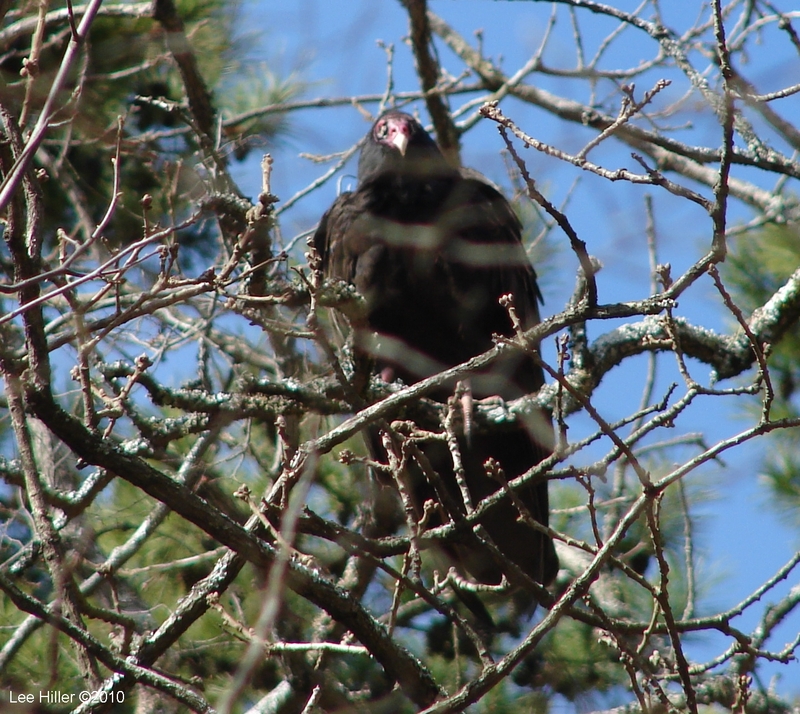 Instead I am Introducing you to two new friends I met while hiking today, a pair of Turkey Vultures. It is the second time I have seen them in the same area perching and on the ground. They nest on the ground and I might have stumbled upon their nesting site. They are settling into a new location in the park and I would prefer to let them do so without a crowd coming to look at them. 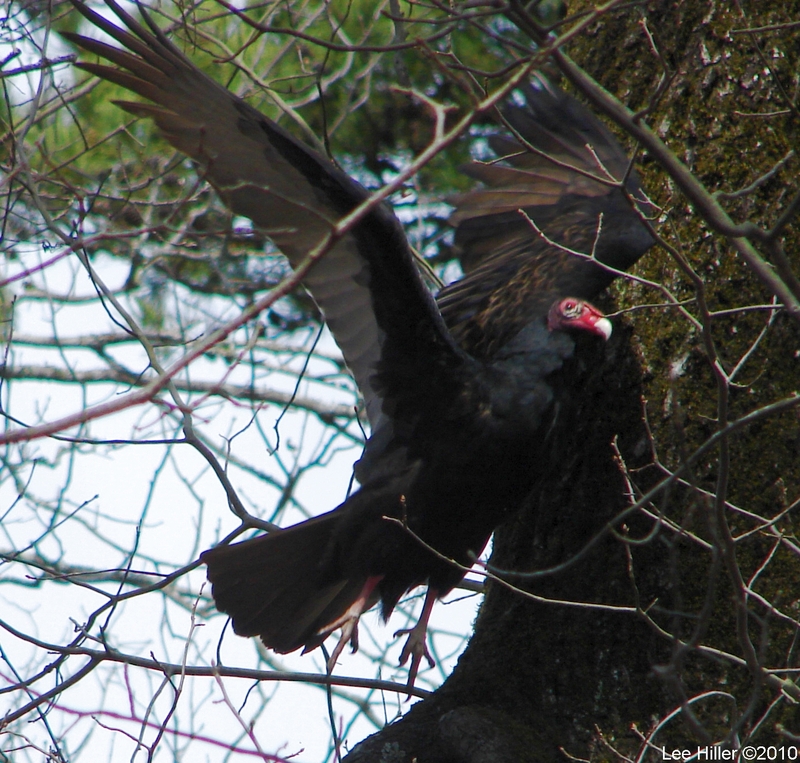 Turkey Vultures DO NOT eat live prey, they are Nature’s sanitation department. They clean up the park by eating deceased herbivores, this keeps diseases from being spread. Their presence is going to help provide a healthy eco-system for Hot Springs National Park. I have added many images below so you can all see and admire these amazing birds. Cold with sunny skies greeted me as I entered the park this morning. At the Head of the Peak Trail a Lovely female Cardinal landed in a tree to my side, she was catching the first rays of the morning sun. On the Carriage Road a Robin sang perched in a Tree with tiny new pink blossoms forming. It was a perfect start to my hike in the park. On the Dead Chief Trail the bird song was lively. I was happy to see an old friend a Tufted Titmouse and meet a new one a Black-Capped Chickadee. As I neared the Short Cut Trail I heard a familiar call, a tap tap tap and looked up to see a Red-Bellied Woodpecker. A few yards up the trail the forest went silent, then I heard a Kaw Kaw Kaw. I looked up and spotted several crows crisscrossing the skies above. When I reached the top of Hot Springs Mountain the only bird I could spot was a Carolina Chickadee. I hoped they would take cover soon. I arrived earlier than normal at the Pagoda, the land had a dark cast in contrast to the bright sky above. I headed down to the Hot Springs Mountain Trail and a lovely friend flew up to greet me, a Northern Mockingbird. A quick hello then a dive deep into the bushes. The trail was busy a young couple ran past giggling and a another couple walking their dog passed by deep in conversation. Further along I saw a sweet group of Dark-Eyed Juncos al perched in tree as I passed. I rarely see a Junco sitting still so this was a wonderful treat. All during my hike I began to notice a bit more green appearing in the forest. 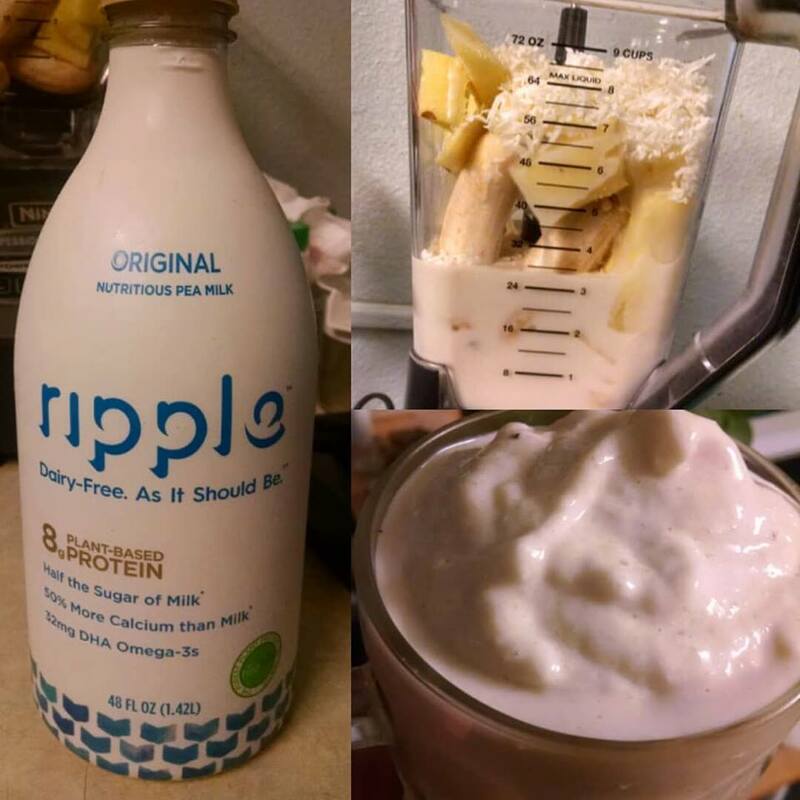 I Love to see even the smallest changes. The Honeysuckle Trail was as always a wonderful hike, up hill down hill and everything in-between. It was however very quiet, I missed the chirping of birds and chattering of squirrels. When I reached the Peak Trail I could hear loud bird song. The tiniest body a Black-Throated Warbler was filling the lower park, this little bird has a powerful voice. Another little bird arrived, a Black-Capped Chickadee and flitted from branch to branch. These two tiny creatures were a beautiful sight. As I reached the bottom of the trail a Male Cardinal shot out of the bushes like a bright red missile. His precision flying through the bushes was thrilling to watch. It was a perfect end to my morning on the trails. The sun shone brightly with only a sheer coating of clouds and the Robins where singing their greeting to the new day. The Dead Chief Trail was resplendent, green leaves had begun to appear along the path. A cool green tunnel to begin my hike, it was magical. Again I spotted a pair of Blue Jays preparing a nest in a tall tree near the top of the second incline. Preparations for new life in the park were abundant. Color filled the Short Cut Trail in tiny details often missed when we hike. Beautiful layers of Rock, Moss and Lichen, a tiny gray striped fly and fallen leaves in jewel like colors. Treasures all waiting to be noticed. When I reach the top I could see two large Nests under construction, I wondered who would be laying eggs there soon. At the Pagoda a familiar face was waiting for me, a sweet Northern Mockingbird. A brief hello and then off into the bushes for cover. The 6 Crows, 1 Hawk and a Turkey Vulture were all on the prowl. After I took my view shot a small Yellow-Rumped Warbler appeared, I was relieved when she flew away. The grass below the Pagoda was beginning to change color as little purple flowers began to sprout along the edges by the Trail. Here too along the Hot Springs Mountain Trail it was little details in the vastness of the forest. 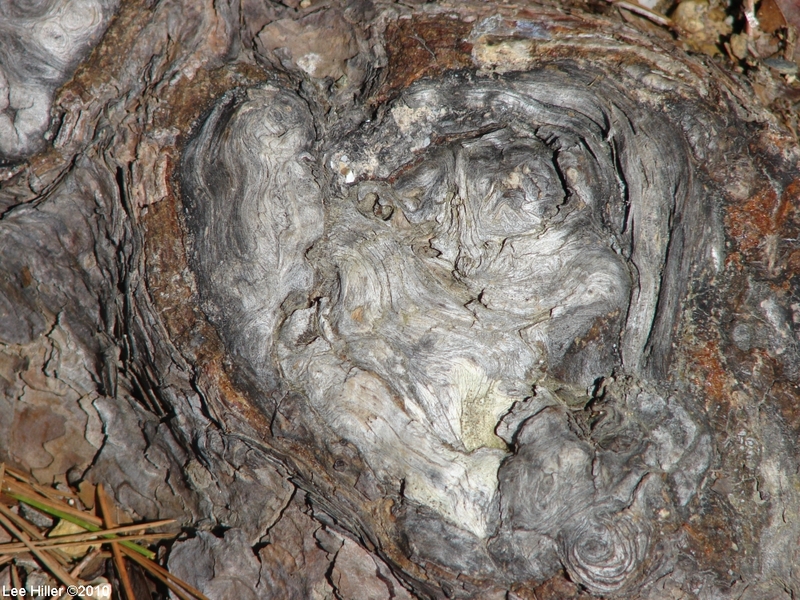 Sweet leafy Nests, Lichen painted Rocks and a Gnarled Root with a Heart that made me think of Van Gogh. Half way along the trail I met up with Jay (half of the Lovebirds) he too was enjoying the sunshine before the next round of storms arrived. The weather channel was predicting rain or snow for both Friday and Monday. I of course was leaning toward snow. I continued to hike the entire Hot Springs Mountain Trail Loop then over to the Peak Trail. 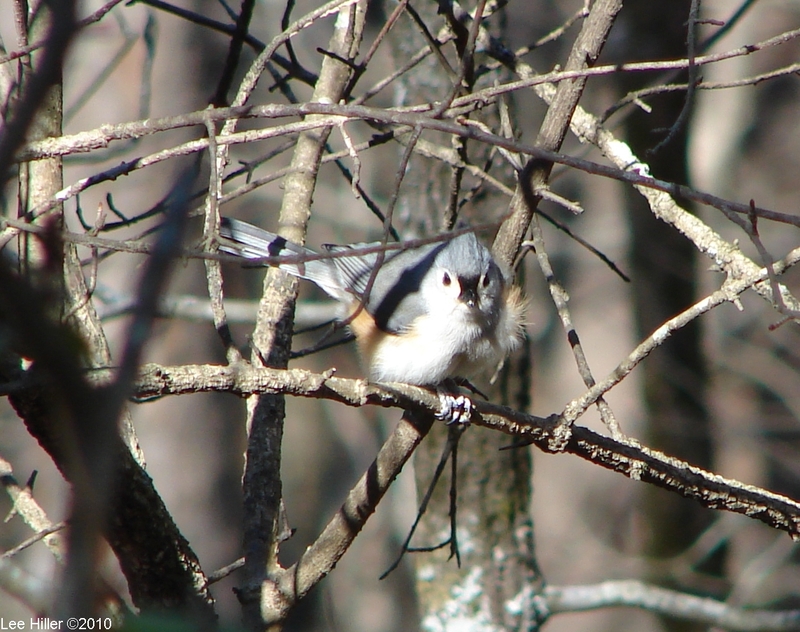 A lovely little surprise awaited me there, a beautiful Tufted Titmouse. Barely visible in the tangled wood I felt blessed to have seen him/her hopping and feeding. Near the bottom of the trail a lovely White-Throated Sparrow was nestled into the shimmering green leaves. I felt joyous as I left the park as I thought of the preparation for new life. Nature was renewing, regrowing and rejuvenating the forest.